Feeling alive is what many people want more than the material comforts promised by government and proffered by corporations, writes Philip Cross. 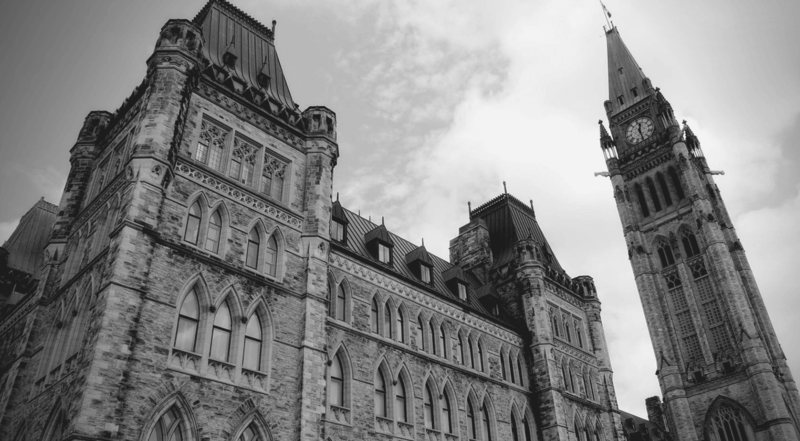 The tabling of the federal budget marks the beginning of budget season across the country. Budgets display the bureaucratic mentality at its worst, a vision of society in which the masses predictably and mechanically respond to government incentives, in which citizens dutifully fill in endless forms for program eligibility, in which people robotically obey all rules and regulations. The state’s increasing intrusion into our lives is a bureaucrat’s dream of standardized structured existence but a nightmare for people who resist a regimented life. The question of how controlled and structured we want our lives to be is of growing importance as the combination of ever-more intrusive technology and government regulation threaten the “degradation, indeed pulverization, of the fundamental uniqueness of each human person” according to Pope John Paul II. Technology allows the monitoring and classification of our every action while regulations limit both individual choice and bureaucratic discretion implementing them. The appeal of individual freedom transcends traditional left/right views — it is equally important to right-wing libertarians and left-wing bohemians, indeed to anyone who believes the vitality of living supersedes stability, that individualism trumps paternalism. We should be wary of mandating for all what former British Chancellor of the Exchequer George Osborne calls the “stability of the graveyard.” Personal freedom fuels the spontaneity and creativity that enriches individual lives, with the added benefit to society of driving the entrepreneurial innovation that propels long-term economic growth. We rarely hear the voices of people who welcome a less structured existence. Not everyone will trade more certainty and order for a steady job and pension. As Studs Terkel said, work is as much about “daily meaning as well as daily bread.” As recently as 1970, for example, U.S. longshoremen went on strike against permanent employment to preserve the casual work giving them the daily option to go fishing instead of working. Few institutions presently dare speak for the viewpoint that not everyone strives to be middle class at the expense of what makes life spontaneous and vital. The liberal writer Norman Mailer had a lifelong friendship with conservative icon William F. Buckley Jr. based on a mutual loathing of the mundane. Mailer understood that while many people settle for the stability of steady work for a pension, for others this path induces “an apathy about the future, a detestation of the present, an amnesia about the past. It is the disease that destroys flavour.” Buckley agreed, recalling how the compulsive gentility of the Eisenhower years “meant one speaks in greys and muted hues…the convention of tact brings us to modulate not only our voices but also our dogmas.” Neither Buckley or Mailer ever abandoned a visceral affirmation of their authenticity just to conform with the mainstream. Condemning people to conform to a life shaped by algorithms and regulations ignores how individuals respond differently to the fundamental question posed by Goethe “On what terms is life worth living?” Goethe’s Faustian bargain was selling his soul in return for experiencing life at a fever pitch, allowing the Devil to take his life whenever he grew contented with the moment. Many people have forgotten Nietzsche’s dictum that life is meant to be vital and dangerous not orderly and conventional. This is a fundamentally entrepreneurial not bureaucratic approach to living. Young people especially face a dwindling range of possibilities, herded into seemingly endless years of school attendance for the dubious promise of soulless work in a bureaucracy. Their consumption choices are increasingly shaped by algorithms based on their revealed preferences of Facebook ‘likes’ and web browsing. Instead of the restive Beat Generation, we now have the docility of the Go Nowhere Generation of youths living in their parent’s basement in record numbers, unwilling to move for college or to find work or simply wanderlust for adventure (there is a strain of academic research that says the most important lesson learned from college is leaving the parental nest rather than from attending classes). Creative energy comes from the conflict between dissenting views on the importance of order and freedom, diversity and conformity, permanent and temporary, continuity and reform, deference and rebellion. Instead we muffle the views of people who are attracted to risk-taking and adventure, for whom a well-planned life cribbed and confined in a downtown condominium does not feel like a real life. Feeling alive is what many people want more than the material comforts promised by government and proffered by corporations.